Experience a hidden gem, where abundant wildlife roam the plains, where the distant lion roars pierce the black dark of night and where the African sunset leaves an unforgetable memory. And all this just a few minutes drive outside Plettenberg Bay, a small seaside town in the heart of the Garden Route, Western Cape, South Africa. 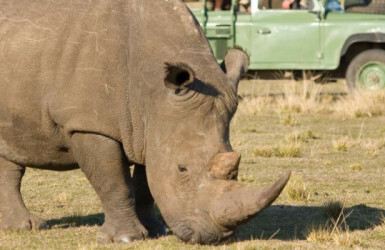 Plettenberg Bay Private Game Reserve is the Southern Cape’s biggest game reserve and is home to Africa‘s Big 4 (rhino, buffalo, lion and leopard). The reserve is situated on over 2000 hectares of indigenous beauty and is malaria free. There are over 150 different species of game and birdlife. Join us on a horseback safari to interact closely with the wildlife, or simply relax and enjoy a 2 hour game drive in an open landrover with our experienced and well-informed guides and see our large variety of wildlife up close. The reserve welcomes children, and has a wonderful enclosed play area for children to relax and stretch their legs, while being curiously watched by zebra and wildebeest! 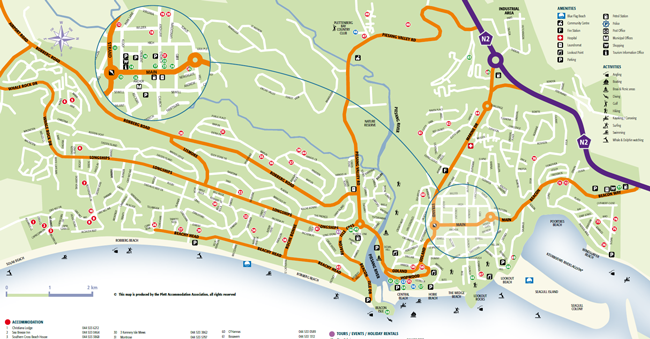 The Coffee Shop, bar facilities and curio shop are also open to the public. Join us at Plettenberg Bay Game Reserve, the hidden gem of the popular Garden Route, Western Cape. 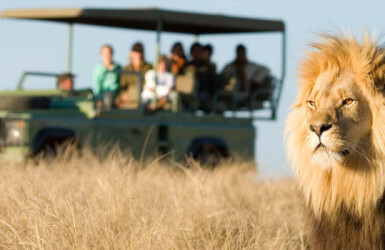 You’ll leave with a lifetime memory of the very best that African Wildlife viewing has to offer. Our guests are welcomed and accompanied by one of our passionately experienced game rangers. 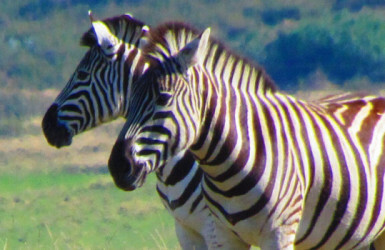 The rangers love sharing their knowledge with our guests, so please – allow your mind to wonder on our game drives! At the close of our game drive experience, guests are welcome to enjoy a refreshing drink at the bar, hosted by your game ranger, while you recollect your discoveries of your game drive. The game drives at Plettenberg Bay Game Reserve are open to the public – so book your drive for the following depature times: 8h30, 10h00, 11h00, 12h30, 15h00 and 16h00. 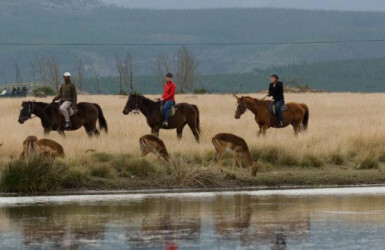 At Plettenberg Bay Game Reserve, a malaria free game reserve just 15 minutes outside Plettenberg Bay, guests are offered an “up close and personal” experience with the wild, free roaming game. 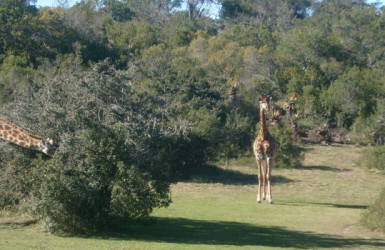 Feel the land of Africa under the hooves of your horse, feel the grass brush past you as you approach Africa’s wildlife. On the 2 hour horse safari, our guests are accompanied by an experienced and passionate game ranger, who will amaze you with his knowledge and insight into the free roaming game that you’ll see. Once your horse safari draws to a close, guests are welcome to join their game ranger at the bar, to enjoy a refreshing drink and to compare their discoveries and experiences of the safari.